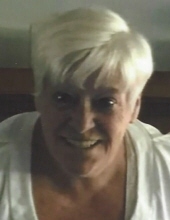 PATRICIA ANNE SCHULER (nee Reddy), Age 56. Beloved wife of John; loving mother of Sean (Erin), Sarah Hurley (Timothy) and Brendan (Kellie); grammy of Connor, Cara, Timmy and Jake; daughter of James P. Sr. (deceased) and Barbara (nee O'Malley); dear sister of James P. Jr., Anne Collins, Tim (Kim) and Elizabeth Carmody (Jim); aunt of Courtney, Kelsey and Griffin; Lauren and Holly; Kristin; Lindsey; Mike and Mark; sister-in-law of Brian and Sue Schuler; daughter-in-law of John and Eileen (deceased) Schuler. Devoted and loving hero, wife, mother, kind and fun loving grammy, sister, daughter, mother-in-law and aunt; secret keeper; selfless, hard worker, wonderful baker, caregiver who loved to read. A beautiful and brave spirit who treasured her family and was a cherished friend to many. Passed away Thursday, November 1. Funeral Mass St. Angela Merici Church 20970 Lorain Rd. Saturday, November 10 at 10:00 a.m. Interment private. Friends may call at the McGORRAY-HANNA FUNERAL HOME OF WESTLAKE 25620 CENTER RIDGE RD. (WEST OF COLUMBIA) FRIDAY 3-7 P.M. The Schuler family would like to thank the caring staff of the Cleveland Clinic ICU and Lifebanc. Family suggests memorial contributions to Lifebanc 4775 Richmond Rd. Cleveland, OH 44128. "Email Address" would like to share the life celebration of PATRICIA ANNE SCHULER. Click on the "link" to go to share a favorite memory or leave a condolence message for the family.